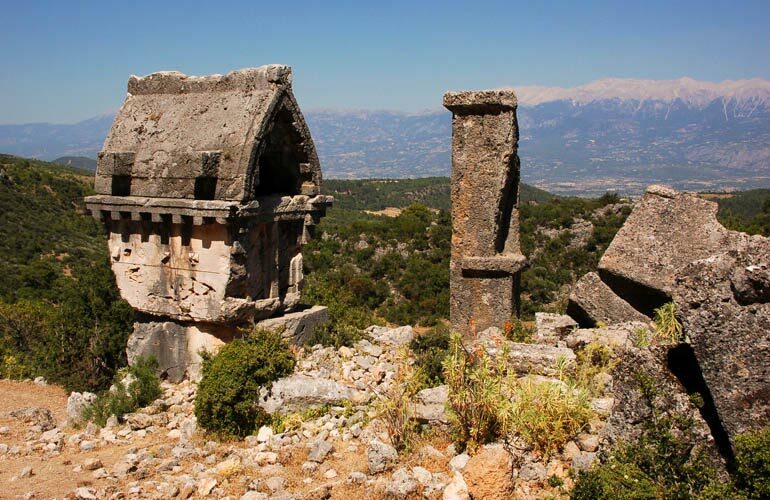 Pinara ancient city is located at the foot of Mount Cragus. The city is reachable after a walk from a nearby village. 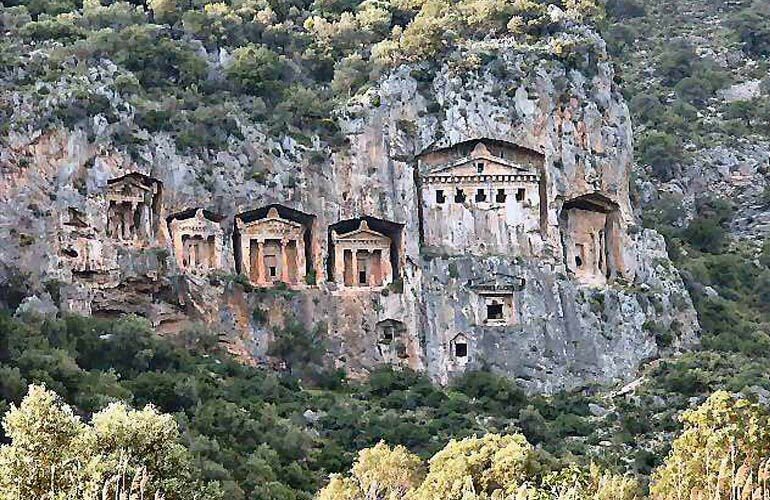 Athough it is a big cith with 3 votes in Lycian League, The city is not mentioned in ancient scripts often. 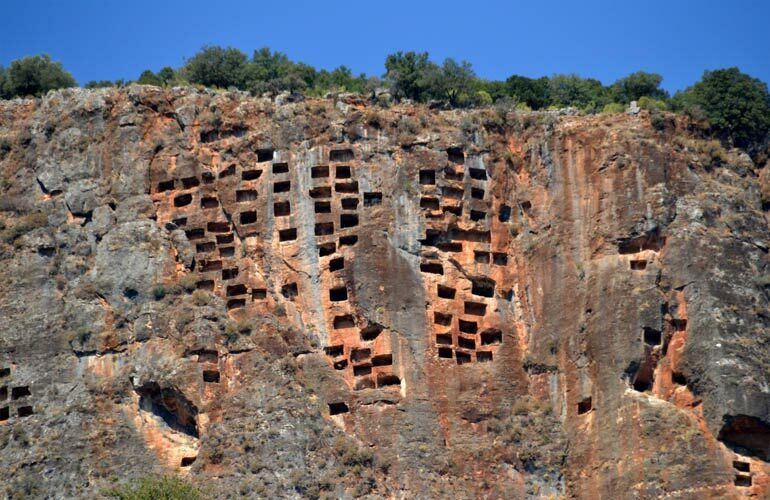 Sir Charles Fellows who discovered the ancient city says rises a singular round rocky cliff (the pinara of the Lycians), literally speckled all over with tombs. Beneath this cliff lie the ruins of the extensive and splendid city. The theater is in a very perfect state; all the seats are remaining, with the slanting sides towards the proscenium, as well as several of its doorways. The walls and several of the buildings are of the Cyclopean masonry, with massive gateways formed of three immense stones. The tombs are innumerable, and the inscriptions are in the Lycian characters, but Greek also occurs often on the same tombs. 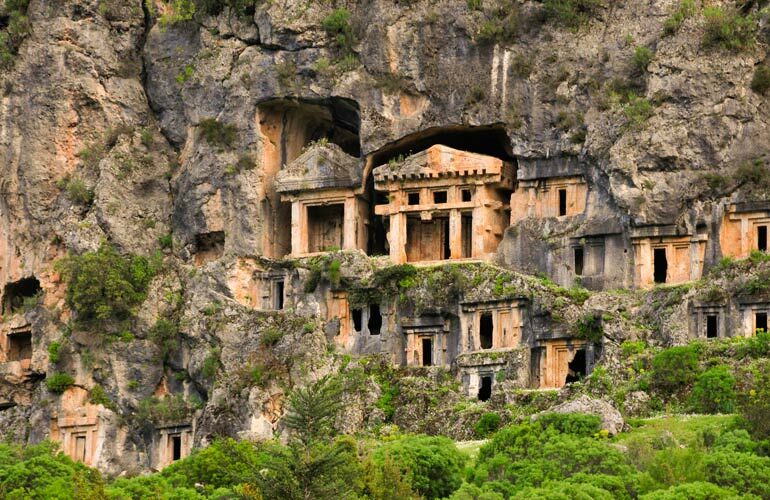 Some of these rock-tombs are adorned with fine and rich sculptures.